I just noticed that the Tecsun PL-880 is available to purchase as a pre-order from Amazon.com. The vendor (Electronnix) claims that the PL-880 will be “released” on November 30, 2013. The price is set at $149.00 US; at least $20 more than the Pl-660, depending on the retailer. Though the PL-880 is available for pre-order on Amazon, I’ll most likely hold out an buy from my favorite eBay seller Anon-Co in Hong Kong. I’ve bought numerous radios from them in the past; their pricing and customer service are hard to beat. I will review the PL-880 as soon as it’s available. This entry was posted in New Products, News, Radios, Retailers, Shortwave Radio and tagged Amazon, PL-880, Tecsun, Tecsun PL-880, Tecsun PL-880 Availability on November 12, 2013 by Thomas. one more thing….Can the S-meter reading be changed…. DBu is a bit odd to me…. Convenient tuning with tuning and fine tuning in the front…. Do miss airband and battery system chosen is a bit odd…..
As of today 11/29/13 the black colors show a shipment date after Dec 5 while the grey color is available now. My personal observations of the PL880 radio is it is not as feature rich as the PL660. No “air” band and no sync mode. I have two PL660 radios (in different rooms). The sync mode is marginal at best and the air mode doesn’t save to memory so both of these features are less than useful and I can overlook them in the PL880. The digital part works on down converted 40KHz. I’m not sure if the PL380 works that way or not, but the PL380 can generate a subtle but annoying high frequency audio background whine that seems to be an artifact of digital conversion. Hopefully that is worked out in the PL880. The relatively obscure battery format seemed like a barrier but you can buy 2 lithium batteries and a wall charger from ebay for under $15. In my opinion, what this radio may bring to the table over the PL660 is better audio quality. I’ll await for Thomas’ review but being an addict, I’ll probably buy it before then. They estimate shipping dates from Nov 30 – Dec. 10. Just in time for Christmas! Does anyone know for certain that the PL880 will replace the 660, or will it just supplement the current line? I had assumed, given the premium price, that the 880 is just a new flagship product, and that the 660 would remain in production. Am I wrong? 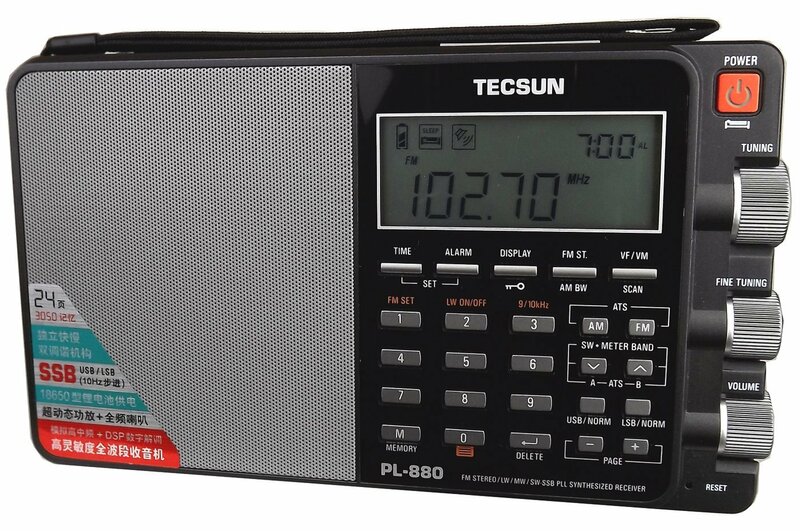 Based on Tecsun’s actions in the past, my guess would be that the PL-660 will settle at the lower +/- $100 price and the PL-880 will take its place as the flagship portable. I doubt the PL-660 will drop off the market. Indeed, Tecsun still sells the PL-600, which is actually getting a little long in the tooth (for a consumer electronics product). Thanks. That is what I thought as well. The anon-co price mentioned above has been stable for months (maybe 6 months) so I’m not sure I believe that there is any dumping going on. I’ll wait for the reviews. Price on the 660 is very tempting though. The 660 has been $85 at anon-co since at least August, when I added it to a watch list. $101 US is an excellent price for the PL-660. Thanks for the tip, Neil. My understanding is that Electronnix is actually Kaito, the U.S. distributor for Tecsun products.